In the previous blog post, we've given you an introduction to the Picasso.Builder, the base to adjust core functionalities of Picasso. If you haven't given it a read, you might need to do so in order to fully grasp this blog post's content. In this blog post, we'll look at request handlers to load and display images from custom Uri schemes, like futurestudio://profile/image/norman. In order to make it a real-word example, we'll use custom Uri schemes from our eat foody project. Now our Picasso instance is aware of the request handler and will pass every future request to it. All of our prep work is done, so let's look in more detail at the RequestHandler class. Result load(Request request, int networkPolicy). The first method will let Picasso know if this request handler can handle the current request. In case it can, the request will be passed to the load() method. // the constructor takes either a Bitmap or InputStream object, nothing else! // if the schema is "eatfoody://cupcake", it'd return "cupcake"
As you can see, the snippet contains a custom Uri schema for our eat foody project. In the canHandleRequest method the eat foody implementation checks if the incoming request has a Uri schema of "eatfoody" (e.g. eatfoody://cupcake). If the request does not have the eat foody schema, Picasso will check the other request handlers and, finally, if none of them is able to handle the request, revert back to the standard downloader. If the request actually has a eatfoody schema, the load() method implementation of our class is called and is responsible of returning a result object (which ideally contains a Bitmap). Our implementation could either do a network request or load the image from the phone's disk. In order to keep it simple, we just check the path of the Uri for two of our favorite recipes and load the according image from our app resources. If it doesn't match, we return the eat foody icon. At the end, we've to create a Result object to return our bitmap. It's a wrapper for the bitmap itself, and the indication for the source. In our case, we loaded the image from disk. Enough dry theory, let's move on to some examples. As expected, if you pass regular http Uris to Picasso, it'll not use our eat foody request handler (since http doesn't match eatfoody). 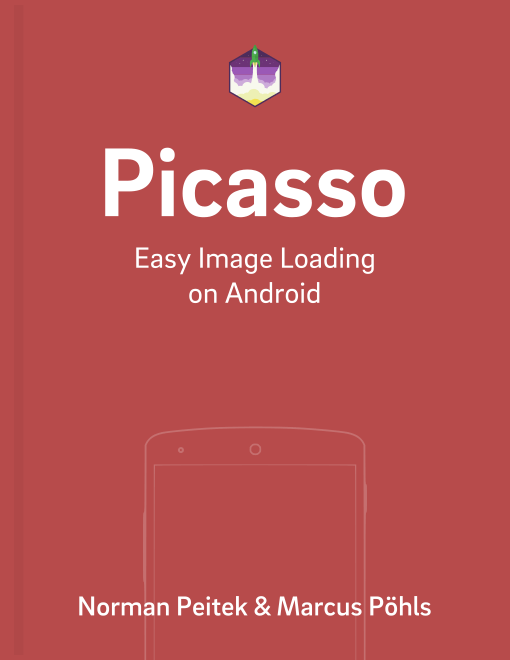 Picasso will load the image normally. Picasso makes handling custom Uri schemes as easy as it can be. The implementation is straightforward and easy to grasp. This blog post gives you the fundamentals to make custom request handlers work. Of course, we only showed the tip of the ice berg of the possibilities with Picasso's request handler. Let us know how you're using Picasso request handlers in the comments!